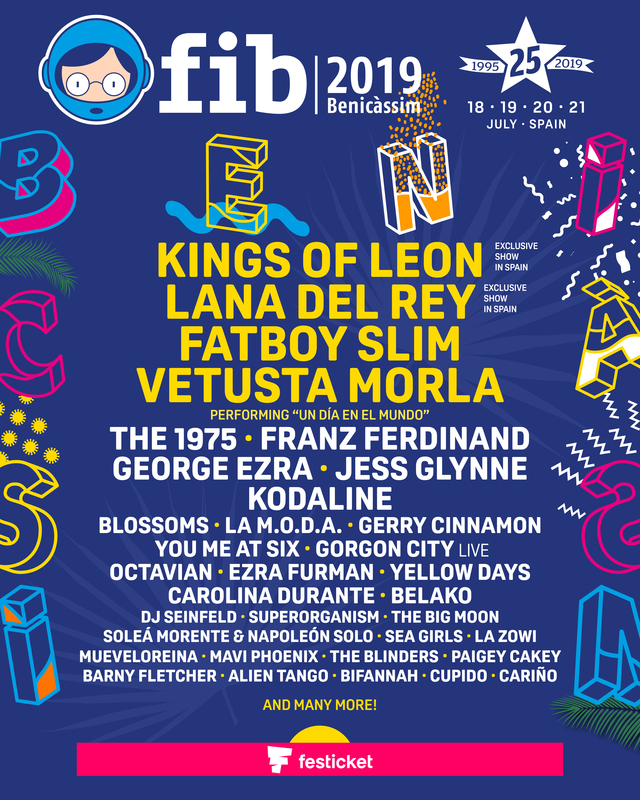 Benicassim Festival 2019 or Festival Internacional de Benicàssim (FIB 2019) as it is known in Spain is a four day music festival taking place in Benicassim on the east coast of Spain between Valencia and Barcelona. Benicassim 2019 takes place on the weekend of 18th July - 20th July 2019. Must have a ticket. They'll be given a special wristband to wear that will prohibit them buying or consuming alcohol and tobacco. They'll need to present ID or passport and a signed copy of the responsibility form the Accreditations Office or the Wristband Exchange by the arena entrance. Must have a ticket. They must always be accompanied by an adult (over 18) - if they are accompanied by a parent or teacher they'll need to present ID or passports and a signed copy of the responsibility form at the Accreditations Office or at the Wristband Exchange by the arena entrance. If they are accompanied by someone other than the above, they will need to bring a letter from a parent granting permission to attend, including contact and passport details of the parent and a signed copy of the responsibility form. Don't have to purchase ticket. They must be accompanied by a parent who will have to fill in a document at the Accreditations Office or the Wristband Exchange, taking full responsibility for the child. They will also have to present their ID card or passport and that of the child. The child will carry accreditation with their name, that of the parent and mobile contact details.